After finishing the letter, I was trying to strengthen the Hatoteret and the ink blotted and filled up the whole space (so that the heads are no longer visible, there is just a thick line) in between the two heads of the Zayin and Vav (of the Chet). I latter made some of the correction because I was sure that the letter was still Kosher and that the Tzuras Ois was not lost. 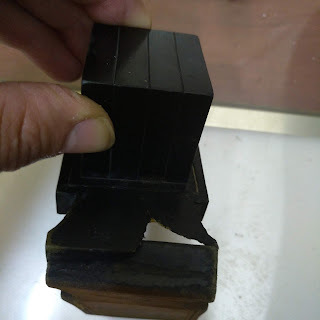 Then I realized that maybe I made a mistake, I figured since the Rashi holds this shape of the Chet, that I was allowed to make the correction and it would not be Hak Techot. 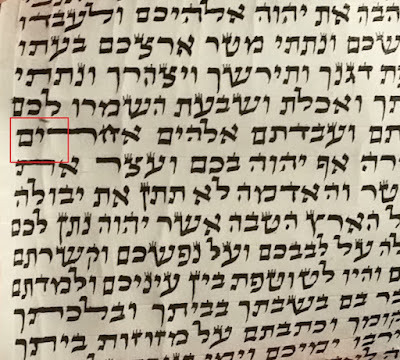 I will surely destroy the letter and rewrite, but my question is... would the letter be kosher bedieved, or lechatchila if at all kosher if I left it? thanks, i,m not familiar with that sefer. Tried looking it up but could not find it. Pshhhh, I'm impressed, Bais Hastam quoting the Tzemach Tzedek! Truth be said he allows fixing by scratching, Bais Hastam is correct. P.S. 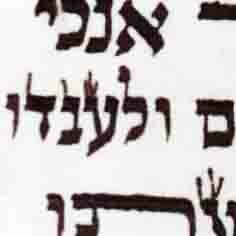 Is the megillah for sale?